Have had an insanely busy week, hence no posting…put on a conference and now working on another major project at work. To get me through the past week, and this week of madness, I rely on coffee. Good coffee. I drink my coffee black, so can really taste when it’s bad. 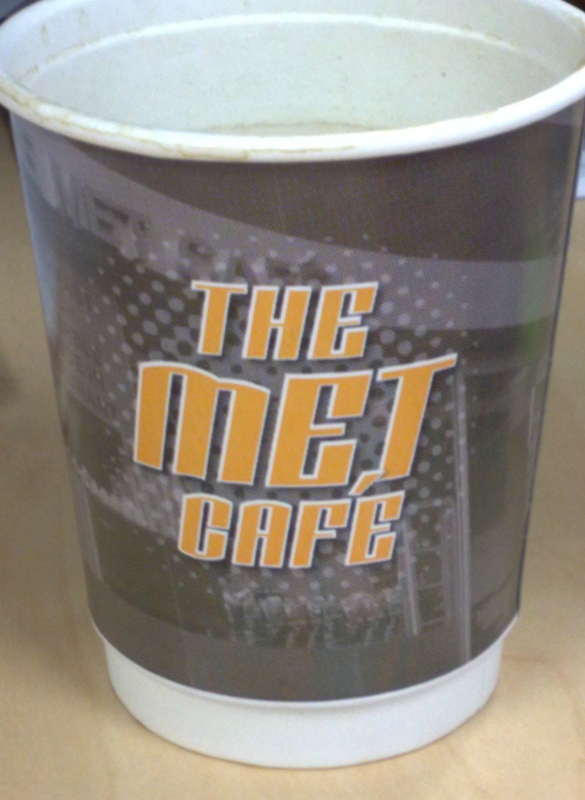 I get my coffee every day I’m at the office from The Met Cafe, at the Met Centre at Wynyard in the city. This little glass box perches on Margaret Street, close to George Street. Facing Margaret is a large window where people mill around and order their take away coffees, toast and other tasty treats. 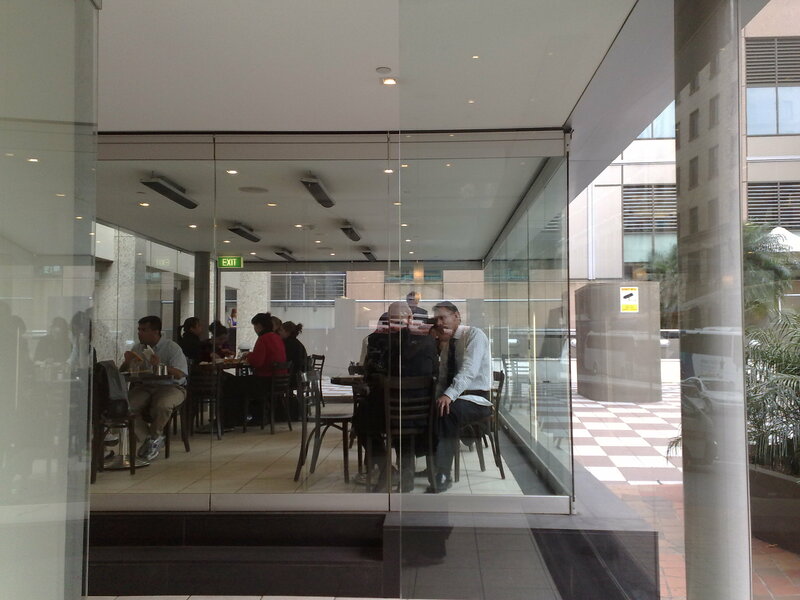 Around the back, another glass box houses the eat in cafe that serves breakfast and lunch. Brendan Smart, Owner/Manager/Barista makes awesomely good, consistent coffee, and cares very much about the experience of his customers. Recently when his coffee machine (not even 12 months old) started playing up, he had it replaced asap, and was then asking his customers if there was a difference in the taste of the coffee. This passion also translates to his staff, who somehow, remember not only the coffees, but also the names of most of their regular customers. This level of engagement makes for an incredibly loyal following. Thanks for the tip. 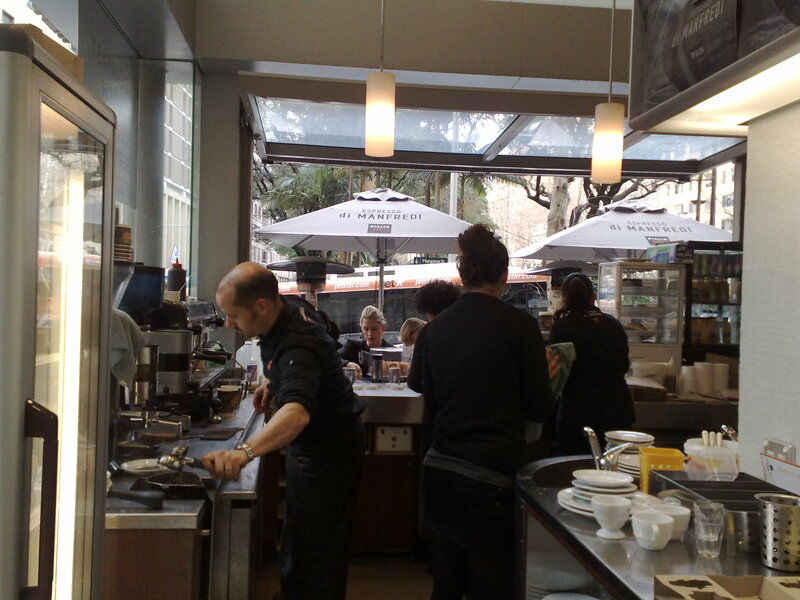 Mecca on king street in the city also does a great coffee. I have been getting my coffee from here for years and it is invariably terrific. A cup of solace before the working day.